Those who also know CPR have a distinctive advantage over those who do not possess these skills. CPR certification means that you'll know what to do if someone around you ever has a medical emergency. Our CPR/AED Course is fully compliant with the American Heart Association guidelines and provides you with all the training you need to be ready. Our courses and exams were created by medical doctors possessing years of experience with this curriculum. We also offer CPR recertification for those who simply need a CPR renewal. 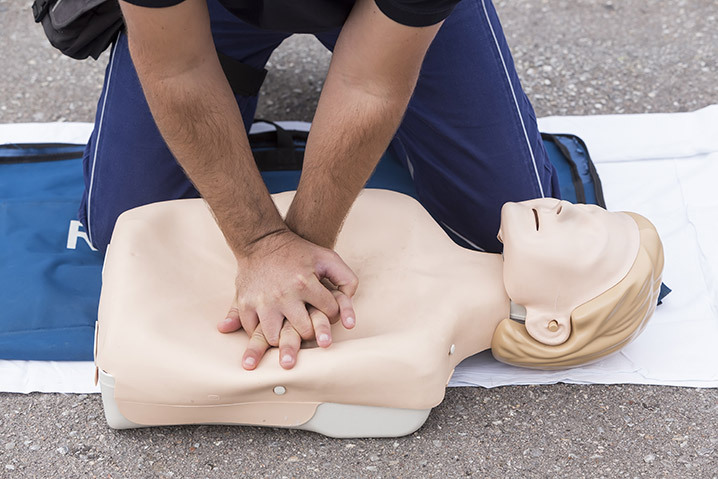 The National Personal Training Association has a wide variety of courses for trainers, but we are pleased to announce that the CPR/AED Course is appropriate for the general public as well. Many choose to gain CPR certification and CPR recertification online. This certification helps trainers with their careers, as employers are pleased to see that new team members have this invaluable training under their belts. Credentials that can save lives are always in high demand! The simple fact is that even the healthiest of people can have a medical emergency. With your CPR/AED certification or CPR recertification, your will always know how to be ready. Others will trust that they can rely upon you. Our CPR/AED Certification course is 100% online. You also enjoy unlimited practice tests as well as free and completely unlimited exam retakes. We service our clients in a range of important ways and we are always looking to be at the forefront of what the industry has to offer. This is why we offer our clients 24/7 instant CPR certification and/or CPR recertification and other distinctive features such as instant test grading. We even instant email certification upon the successful completion of your exam. We are proud to provide all of these features to you at no additional cost. Complete our CPR/AED Course and you'll be able to enjoy new opportunities. Utilizing the National Personal Training Association is a fast, effective and easy way for you to offer more while helping to safeguard health of not only strangers but also your loved ones.